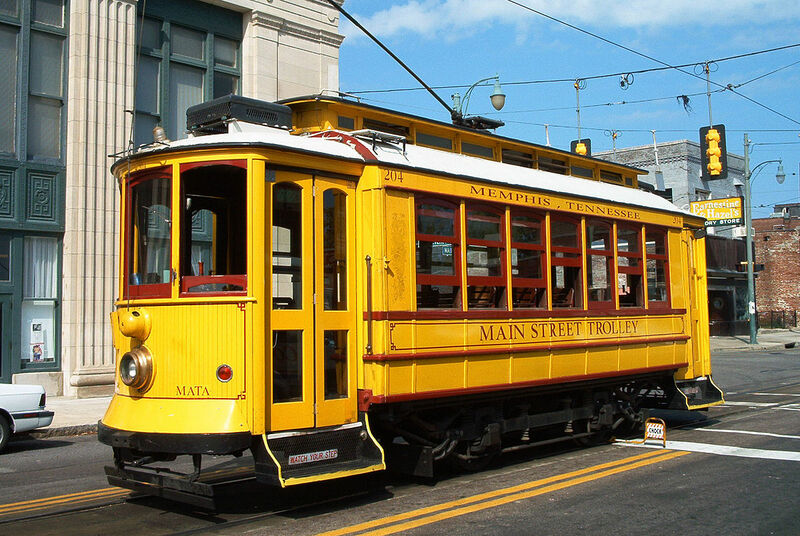 A tram (also called a tramcar, streetcar, trolley or trolley-car), is a rail vehicle which runs on tracks along public streets or a segregated right of way. 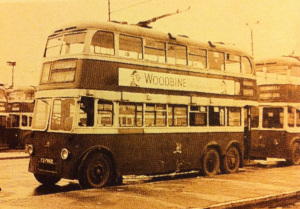 It is believed that the word “tram” referred to the wooden beams the railway tracks were initially made of (before the railroad pioneers switched to iron and then later to steel). 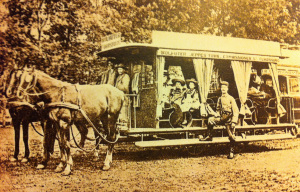 The English terms “tram” and “tramway” originated from the Scottish word “tram”, referring respectively to a type of truck (goods wagon or freight railroad car) used in coal mines and the tracks on which they ran. 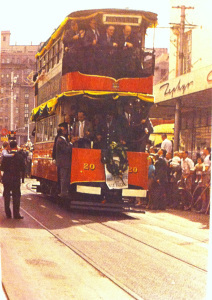 The lines or networks operated by tramcars are called tramways. Although Tramways has a universal appeal, modelers outside of Japan in general are frustrated with a shortage of rolling stock, track, buildings, and accessories. There are only a handful of individuals who sell items in the US via e-bay, and another few sites in Germany, Spain, Italy, Australia and the UK who have managed to get some stock from time to time. As far as is known, I am the only one in South Africa to have modeled a Z-Scale as well as N-Scale tramway, while a few other individuals have managed some custom built specimens in HO/OO and G.
Ready to run track is obviously most convenient, but you can quite easily adapt standard track to work – undeniably a lot more work! If you really struggle to get stock, get in touch as I have built a good relationship with a few KATO/TOMY dealers in Japan.. 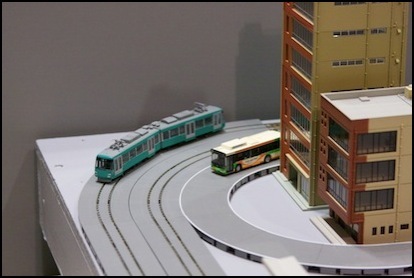 The two primary manufacturers of tram systems and products are KATO and TOMIX, who both have a very nice range of N-Scale products. Other manufaturers such as OXFORD diecast models supply various busses and trams that can be motorised for use on your tramway. While both Tomix and Kato offer well designed, quality product lines, of the two, Kato is better known outside of Japan due to stronger export distribution and marketing channels. Kato has released a number of track systems that have evolved over the years, with the current Unitram v5 and v6 being their latest product iterations. Long desired by modelers looking to create urban and city type environments in which to operate their trains (be it for inner city trams or to replicate heavier weight train lines that allow freight and commuter lines to run through city centers), UNITRAM offers a versatile street track system that integrates with the included road places to create the illusion of a proper city environment. Take note that UNITRAM sections are primarily Left-handed, with Japanese-style street markings/printing. If you require right-handed (US style), you can try contacting KATO’s US distributor.. otherwise you will need to rework these to suit your needs. Tomy (originally known as Tomiyama – 1924), was incorporated as Tomy Kogyo Co., Ltd (1963), and in 2006, Tomy merged with Takara (third-largest toy manufacturer in Japan) to form Takara Tomy. The company is simply refered to as “Tomy” in the rest of the world. While Tomy has recently entered into agreements with, and made products for a number of US and European distributors, the company pretty much targets and sells its products to the Japanese market (I have found that almost all information on Tomix is in Japanese). The combined Tomix and Tomytec model railroad product line is the largest in Japan and possibly the world, with a total product count of over 3000 items. A typical product catalog easily exceeds 440 pages in full color! 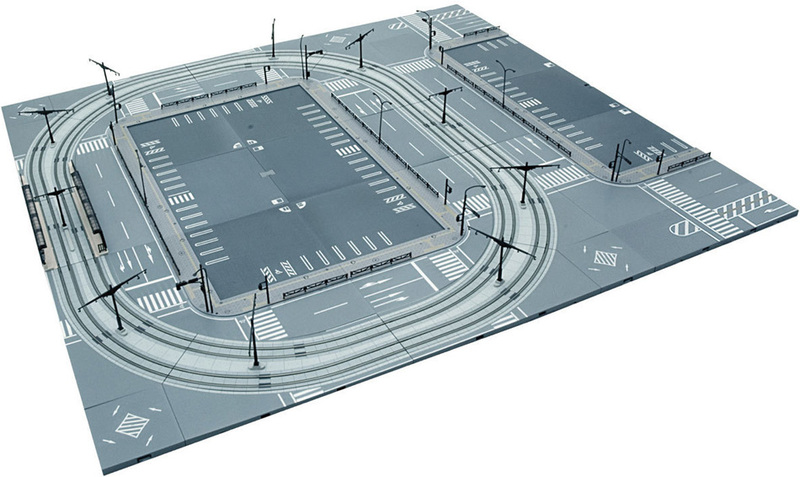 “Wide tram rail” is a product by Tomix that provides an integrated road surface (asphalt) and rail, and allows you to more easily reproduce a tramway. In general, Tomix offers more points/turnout sizes, gives a choice of larger-radius double viaduct curves or tighter “Mini” curves and turnouts, Wide PC Track, and Wide Tram (with the compatible Moving Bus roadway system). Kato offers more single-track viaduct pieces (of limited value), double-track curves (all super-elevated), tighter “Compact” curves and turnouts, and the Unitram street trackage system. Although the systems compete, both systems are similar, and it is possible to inter- connect components. You can read this article on the “Design of Tomix and Kato N-Gauge Sectional Track Systems” for a more technical look at the different track systems. Around 2011, Tomytec introduced a Bus system, similar system to Faller (possibly licensing some of Faller’s technology). The significant difference is that it uses disposable batteries (longer-lasting, but not rechargeable) and permanent magnets for controls. 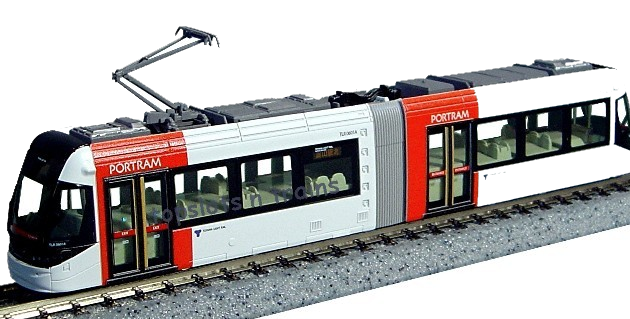 It also has a motor unit that can be adapted to drive 1:150 bus bodies, and uses modular street segments designed to work with Tomix (a Tomytec brand) Wide Tram track, allowing the creation of streets containing light-rail track and moving vehicles, without the need to embed track and guidewire in plaster, or hand-make the same with sheet styrene. N-gauge is N-gauge, defined as nine (“N”) millimeters between the tops of the two rails. Tomix trains will run on other N-gauge track, and other N-gauge trains will run on Tomix track. Slight incompatibilities do exist over the decades, due to varying heights of the metal rails and depths of wheel flanges made by various manufacturers, but in general nearly everything inter-operates. Note: Tomix does not manufacture OO/HO scale track, but their HO trains can run on HO and OO track made by other manufacturers. This compatibility does not mean other manufacturers’ track pieces use the same connection system as Tomix track (or each other’s track), or that rolling stock coupler systems are always compatible (they sometimes vary even within one manufacturer’s own products). 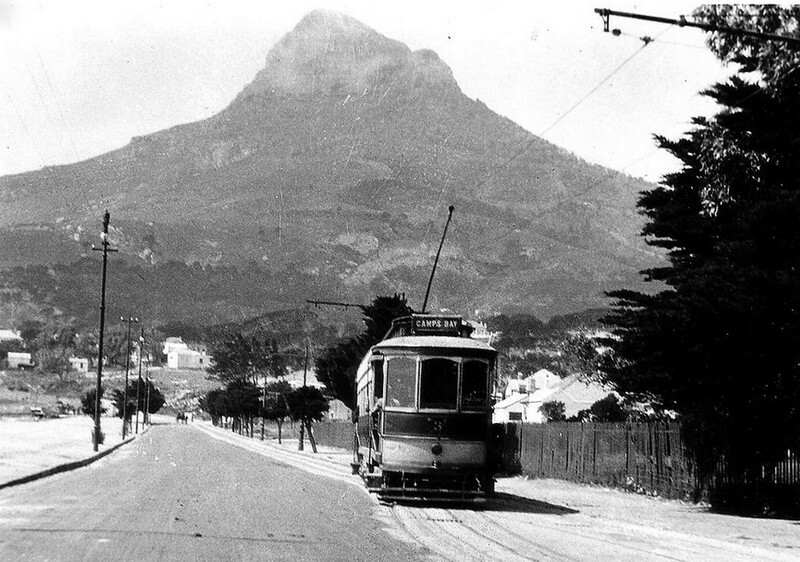 Slightly off-topic..but here are a few historic photo’s of Trams in South Africa..
As discussed in my article on Scales and Gauges, there is a distinct difference between the terms Scale and Gauge, although many modelers use these terms interchangeable. In North America and Europe, model trains that run on N-gauge track are generally built to a scale of 1:160. Manufacturers in the United Kingdom use a scale of 1:148. Since the 9 mm track gauge is the common denominator worldwide, the term “N-gauge” is actually more appropriate. Well I hope that this Article has sparked your interest in Tramways, and that you too would consider adding a tramway to your layout..